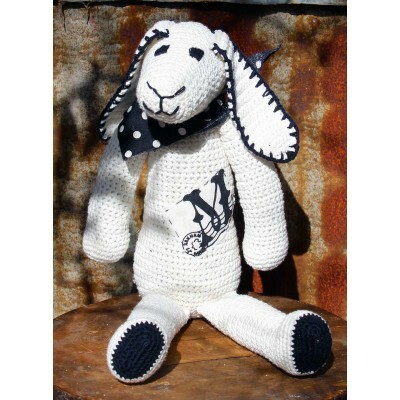 This vintage inspired gift is hand crocheted in cotton and personalised with french stamp on his tummy. This is a unique gift for baby, for her, for a christening or a special birthday. Murphy is 40cms in height.